Since channeling his collective creative energy into the Wolfheart basket, guitarist/vocalist Tuomas Saukkonen feels liberation to express his melodic death/black metal thoughts in any way he desires. This fourth studio album Constellation of the Black Light sees the quartet continually advance and realign their commitment to beauty, brutality, and all the shades of color that surround this intimate, visceral brand of music. Already establishing a firm, fervent following based on consistent output (this is the fourth album in six years), these seven songs engage the listener in another aural journey through contrast, where acoustic strumming sits side by side with punishing blast beats and relentless, passionate growls – all the while injecting the necessary electric melodic death harmonies or mini-orchestration aspects to create atmospheric tipping points. The favorites can change by the day. When in the need for something epic, you can’t go wrong with the ten-minute plus opener “Everlasting Fall” – its impressive acoustic beginnings segueing into a series of captivating electric riffs, trailing off into this circular mid-tempo conclusion where cascading guitar harmonies from Tuomas and Mika Lammassari keep the bodies swinging back and forth in a hypnotic sway. The subsequent track “Breakwater” appears to be more of a straightforward melodic death offering, tremolo runs at a fever pitch against some interesting clean/growl matches during the chorus that set up more of an older Edge of Sanity feel while the lead break remains very emotive and tasteful. Considering drummer Joonas Kauppinen finished these sessions in intense back pain prior to his surgery, you wouldn’t know the difference as he shifts from slower, doomy terrain with “The Saw” to all-out propulsive death/thrash measures on “Warfare” without missing a beat. 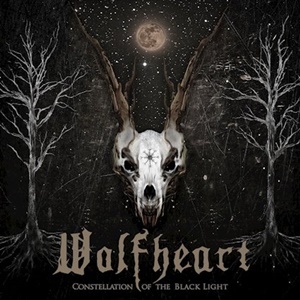 Wolfheart excels at intensity against cinematic-like tension – the contrasts of opposites when you will hear a beautiful passage against blast beats turning into a tranquil, acoustic instrumental sequence and making the transitions naturally work. By the time the jackhammer mid-tempo rhythm slam that penetrates “Valkyrie” subsides, most will be returning to song one again for another repeat at this record. Whether once a year or once every other, Wolfheart position themselves as a leader in this genre. 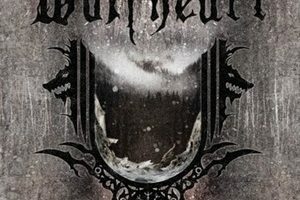 Constellation of the Black Light will be a favorite for most in the melodic death/black metal field.